(English) ///M Performance exhausts are not available anymore from BMW for homologation reasons. 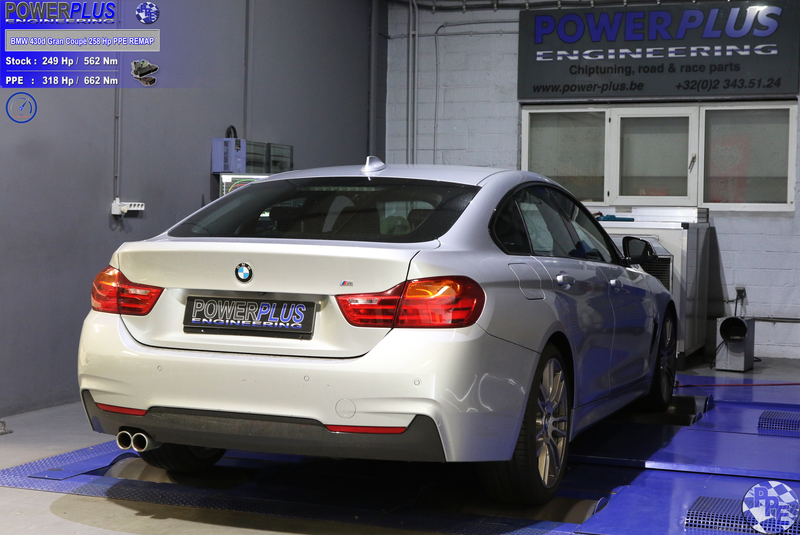 BMW 430d Gran Coupé 258 Pk getuned tot 318 pk en 662 Nm. BMW 430d Gran Coupé 249 Pk & 562 Nm tot 318 Pk en 662 Nm getuned door herprogrammatie van de originele stuurdoos.